FunCuBello Quartett, Hamburg EN: FunCuBello Band originating from Hamburg, brings you a unique show, an incredible mix of the genres fusion, jazzrock, funk, and infectious Latino rhythms. Our repertoire consists just own compositions. Our music is appropriate for extensive shows and oriented toward festivals, clubs, and various live events, for a public of all ages. After studying for many years the musical rhythms of jazz, funk, and Afro-Cuban, the percussionist Daniel Sapcu decided to combine his own ideas and improvisations with the complex arrangements and modern harmonies created by his partner and band colleague Loredana Todor-Sapcu. To this were added influences of fusion-jazz, funk-rock, funk-New Orleans styles as well as... a drop of smooth jazz. LIVE, FunCuBello Band offers all fans of instrumental music a once-in-a-lifetime opportunity. Nothings makes us happier than seeing our spectators smile and moving naturally on the rhythm of our music, things we actually get every time. We are all professional musicians with a lot of experience in many large and small stages in Europe. We would be happy to share the pulse of our music with you. With the characteristic groove, FunCuBello. Unsere Musik bietet – je nach Anlass - ein vielseitiges Klangspektrum für die unterschiedlichsten Live-Events, Festivals, Clubs, Shows und private Feiern. Unser Repertoire umfasst einen kreativen Mix der Genres Fusion, Jazzrock, Funk und mitreißenden Afro-Cuban-Rhythmen, ausschließlich Eigenkompositionen. 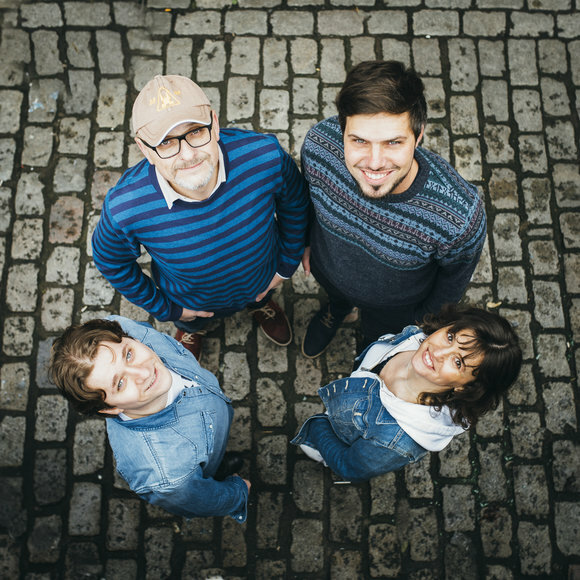 Darüber hinaus erarbeitet die Gruppe gemeinsam mit dem Schlagzeuger Daniel Sapcu und der Pianistin Loredana Todor-Sapcu, seiner Partnerin (Frau) und Kollegin, ausgefeilte Arrangements, Improvisationen und moderne Harmonien. Mit Impulsen aus Fusion-Jazz, Funk-Rock, Funk-New-Orleans und . . . einem Hauch Smooth-Jazz. Wir sind alle Professioneller Musiker mit sehr viel Erfahrung auf vielen groß und klein Bühnen Europas. Wir machen Musik mit großer Begeisterung, Lust und Leidenschaft. Wir spielen überall – für Sie, ganz nach Ihren Wünschen.